Many memory foam mattress and pillow companies will state that they make their mattresses and pillows in the U.S.A., but they are actually buying the foam, fabric or covering overseas. At Relief-Mart, Inc. we are proud to say that we not only buy our foam and fabric from the top-rated foam manufacturers in the U.S.A., but we also buy the highest quality foam available! The superior foam and fabric produced in the U.S.A. costs one- to three-times the amount of that overseas companies charge, but we make up for this price difference by working factory-direct and keeping our overhead low by avoiding the middle-man costs associated with the traditional retail model. Therefore, we can still save you up to 50% when compared to other leading brands, while giving you a higher quality product! We make our mattresses and pillows with the pride and care that comes from a history of putting our customers’ needs first and the meticulous and watchful eye of our product development consultant, Dr. Rick Swartzburg, D.C.. This also enables us to craft custom mattress and pillow designs to fit your special needs, while still keeping our commitment to supporting our local economy. 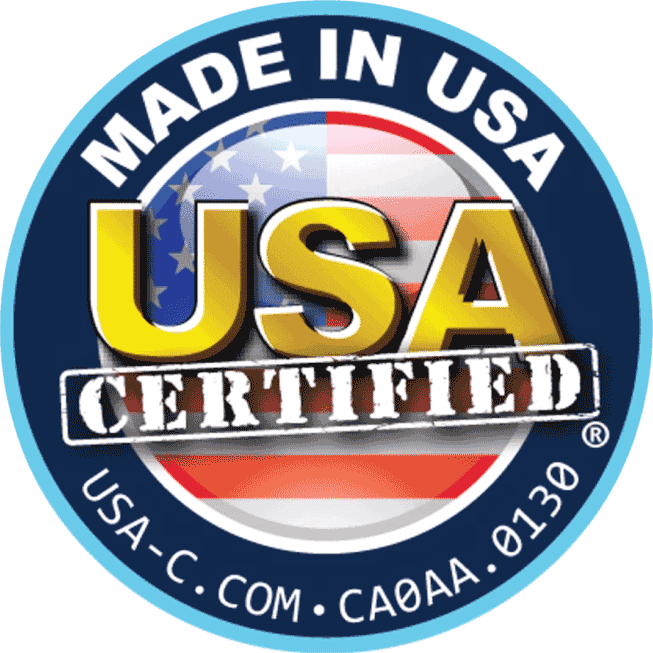 Since the time of Relief-Mart’s certification by Made In The USA Certified® in 2012, the Made In The Made USA Seal has become a trusted designation that reassures consumers that a company’s product has been fully audited to determine the manufacturing and supply country of origin. While it was a tough decision, with our company’s commitment to keep our costs lower, we made decision to save the cost of the certification fees required to maintain the on-going re-certification process by the Made In The USA Certified® organization at this time. However, we still maintain the same level of commitment to purchasing all U.S.A. components and using U.S.A. only labor to manufacture all of our foam mattresses and pillows. Feel free to email or call us now at 1-800-667-1969 to speak with a Sleep Expert who can assist you in making the best decision you ever made for your comfort and health!